The division was created following the 1997 redistribution. It was named after Adair MacAlister Blain who was elected to the House of Representatives in 1934 as an independent for the division of the Northern Territory. During World War II, he was captured by the Japanese following the fall of Singapore in 1942. He became the only serving member of the House of Representatives to be a prisoner of war. The 2015 redistribution saw Blain lose the majority of Moulden to the division of Drysdale and Zuccoli and Mitchell to the new division of Spillett. 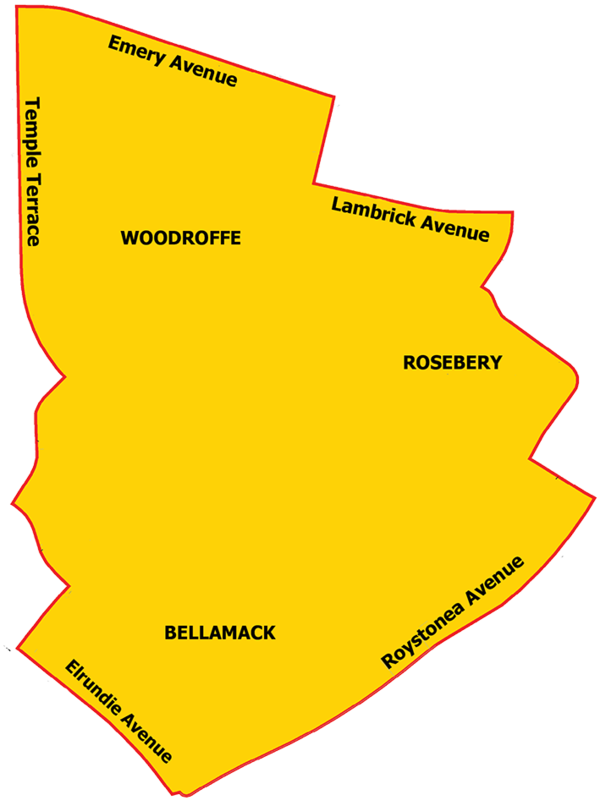 This division comprises the southern part of the City of Palmerston and includes the suburbs of Bellamack, part of Moulden, Woodroffe and part of Rosebery.